Because of the excellent work of Deviation forum, Devo series radios(DEVO7, DEVO7E, DEVO10, DEVO8S, DEVO12S ) can support many different protocols now, some of the protocols need additional 2.4GHz transceiver module(s). and the 3 IN 1 module is meet for this. It integrates three RF chips(CC2500 , NRF24L01 , A7105) in one single PCB board. It supports more than 10 different protocols, such as Frsky, Flysky, WLtoys, Hubsan, Hisky and so on. You can use 30 AWG wires to connect the module and the Devo Transmitter, the pattern is as follows. after that, Fix the antenna to the top of the Transmitter, next to the original one. 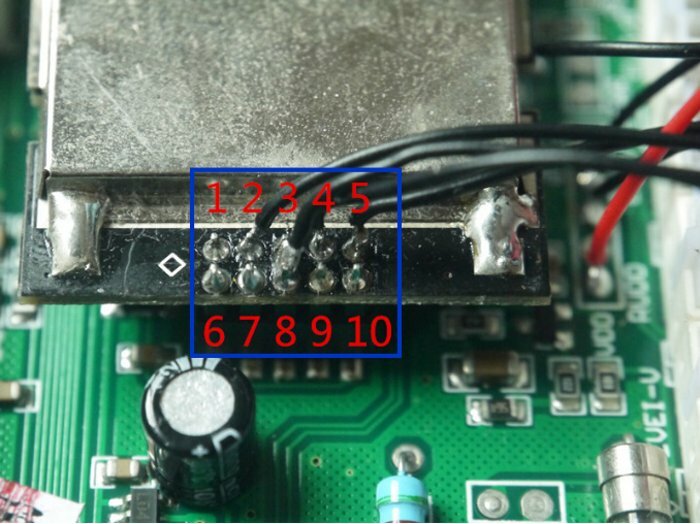 For Devo 7e, you should connect a wire to the MCU, you can use heat tape to cover unwanted MCU pins and expose the useful one, the next soldering work will be much easier. In addition to the D7E, other transmitter such as D8S, they have the same connection with the D10. For Devo7e, there may be a warning that says ‘Missing modules’ , when you turn on transmitter. to solve it ,you can turn off transmitter and then turn on it again. The reason is that Devo7e’s power supply is very limit, it’s maybe not ready at the beginning. For frsky protocol, you may adjust the ‘Freq-course’ parameter to reach max range.